Two distinguished radiologists and a renowned odontologist combine their lifetime collections of photographs dealing with radiologic diagnosis of violence. 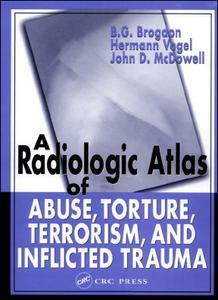 This atlas not only includes radiographs related to clinical forensic medicine, but also illustrates the radiologic techniques that detect arms, explosives, and other weapons. Providing over 700 large, black and white radiographs and 30 full color photos, the atlas allows for quick reference in cases of child abuse, police brutality, starvation, and other results of trauma. Radiologists in crime laboratories will have comparison photographs to recognize foreign material, such as letter bombs, as well as homicide by irradiation.